Sigma's module solutions can help you get to market more quickly. The SM5304 is the module solution for gateway and controller devices. It includes Sigma's firmware to help companies minimize development and get to market more quickly. For custom application firmware solutions, gateway and controller makers should look to the ZM5101 and ZM5202. The ZM5101 combines a Z-Wave SD3502 SoC with a built-in microcontroller and Z-Wave RF transceiver, crystal, and passive RF components within a single 8x8mm module. 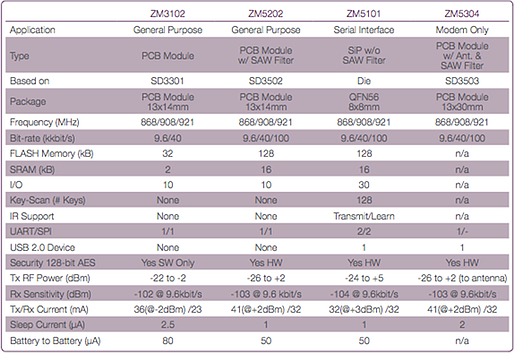 This makes the ZM5101 ideal for small-footprint, single microcontroller products. The ZM5101's large I/O count, and memory support compact, single microcontroller Z-Wave solutions for complex applications.